Volunteers offer hands-on training to adults with special needs as part of a new program sponsored by the Friendship Circle of Wisconsin. Innovation, education and community—combine these ingredients and something delicious can materialize. 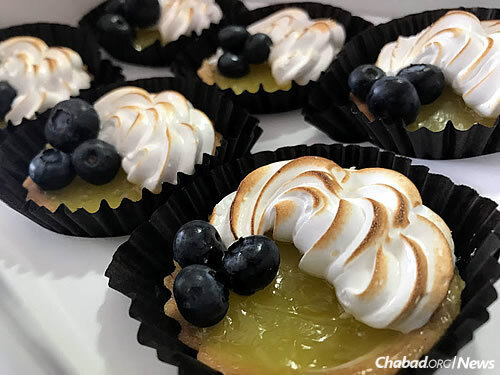 Add to the mix students with special needs, a handful of volunteers and a top pastry chef, and the end results wind up in the form of dairy-free pastries, cakes, cookies and challah. That’s what happened with the opening of Friendship Bakery in Wisconsin. 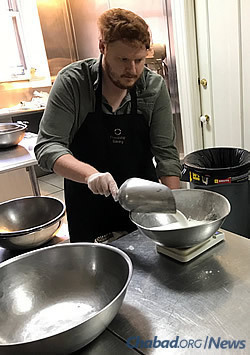 The idea started formulating this past October, when Rabbi Levi and Leah Stein, co-directors of Friendship Circle of Wisconsin—a division of Lubavitch of Wisconsin—recognized that adults with special needs were lacking opportunities for hands-on vocational training and the need to feel productive in the working world. 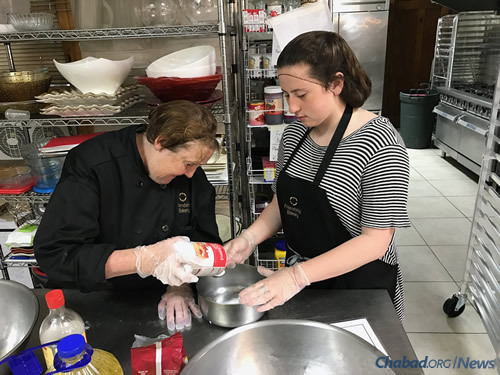 The Steins approached local master pastry chef Dina Menzl-Russo, 50, to teach a comprehensive course that includes the science of baking from start to finish: food safety, preparation, use of utensils, operating the ovens, decorating, packaging and selling within the laws of kashrut. Then they found a commercial kosher kitchen to use in Milwaukee. In its current space, the program is able to provide training for three people each in three separate shifts, who work with volunteers. Every task is demonstrated and broken down into steps. Laminated cards include both written and photo instructions. Tasks are repeated over and over again until the skills are learned. 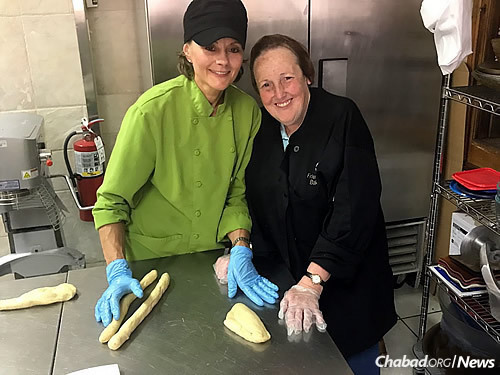 From hand-washing to using gloves and hairnets, measuring ingredients and rolling out dough to the proper use of equipment, cleanup, time management and quality control, the course covers every detail necessary to running a successful kosher-bakery business. Students will be evaluated each month (the bakery just opened in July) for mastering certain skills. A final evaluation comes at the end of the course, when participants will be expected to demonstrate their ability to successfully complete 65 critical skills. Upon passing, they will receive a certificate of completion, along with references for employment. An extra benefit of the program is giving enrollees the opportunity to earn some money. The amount will be based on a percentage of the profits, allowing students to take additional pride in their work and help the bakery become successful. Participants learn the science of baking from start to finish. For the time being, Friendship Bakery operates two days a week. As demand grows, so will the menu options. The amount of time it takes to finish orders is something they’re watching closely to keep up with deadlines and timetables. 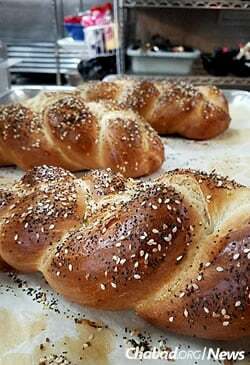 Every week, that factor changes, mainly due to special orders, such as celebratory cakes, added to the regular challah and pastry production. 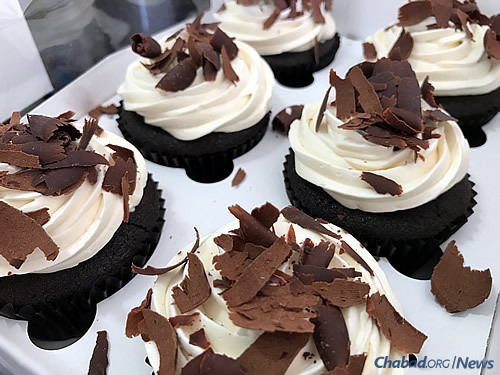 Beyond the beauty of improving lives, Friendship Bakery gives Milwaukee access to one-pound kosher challahs, custard-filled French eclairs with chocolate ganache, lemon tarts and triple-chocolate cupcakes with buttercream frosting. 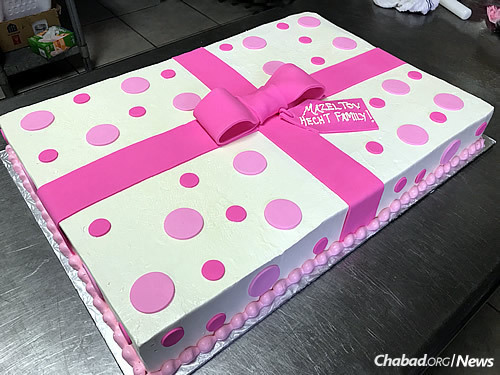 Special orders may be placed from an extensive list of baked goods, including a variety of cookies and brownies; and custom wedding, birthday or other occasion cakes. They even have the ability to print edible photos or requested designs. When the baking and boxing are complete, Friendship Circle participants and volunteers make home deliveries within a 10-mile radius for a nominal charge (free if orders are picked up at Crown Judaica in Mequon and Jewish Beginnings preschool in Glendale). Thanks to the company Express Promotions, students get their own embroidered Friendship Bakery chef jacket, which they’re responsible to take home, wash and wear for every class. The owner, Mark Blutstein, has a family member with special needs; he was inspired by the idea and reached out to sponsor the uniforms. Tasks include measuring out ingredients and learning to use proper kitchen equipment. 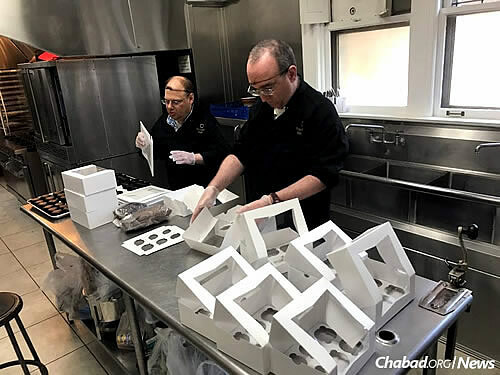 Getting the packaging prepared for the array of kosher baked goods. 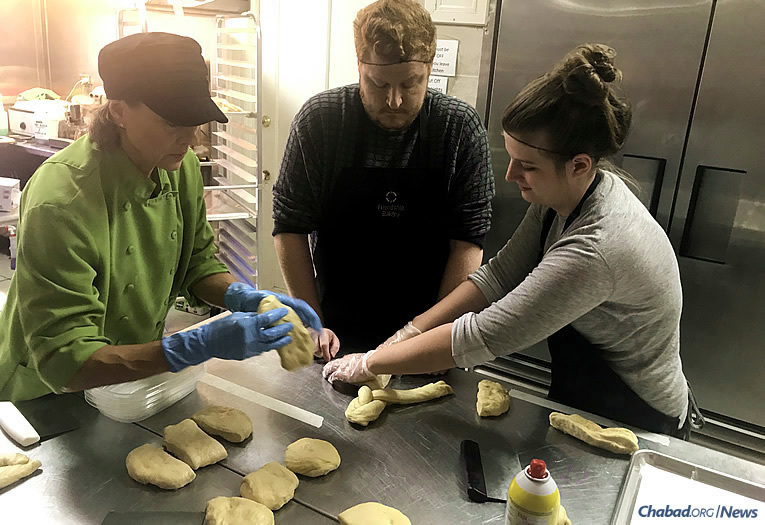 The bakery is just part of the overall vision for Friendship Circle of Wisconsin. The next step, according to Stein, is to rent a building. Those in the program work one-on-one with a volunteer.